Update: The majority of this post first appeared on March 6, 2015. It was updated on September 8, 2015 and has been updated again on July 15, 2016 with the most recent information about Patagonia’s work to improve chemical safety in our supply chain. Patagonia—as well as other high-quality outdoor outerwear suppliers—for years relied on a Durable Water Repellent (DWR) of a certain chemistry (described below) to bead up, then disperse, surface moisture from rainwear. It is necessary, even in a waterproof jacket, to prevent surface saturation. A soggy surface creates a clammy, wet-feeling next-to-skin climate even where water does not actually penetrate the surface. The DWR we used as a standard for years was a long-chain (C8) fluorocarbon-based treatment that is highly effective and extraordinarily durable. Unfortunately, its by-products are toxic and persist in the environment, a combination that makes it unacceptable despite its excellent performance. Governments around the globe have now required chemical companies to stop making C8 DWR, so every high-quality outerwear supplier has been searching for alternatives of comparable performance. For the past decade, we’ve carefully researched and tested every available fluorocarbon-free alternative on our own fabrics at the lab and mill level. Many finishes—including waxes and silicones—will lower the surface tension of a fabric enough to cause water to bead up and disperse rather than saturate. But they are easily contaminated by dirt and oil and rapidly lose their effectiveness, reducing the effective lifetime of a garment. The short life span is of special concern. A rain shell that stops preventing saturation functionally degrades into a wind shell long before the garment itself wears out. The garment must be replaced more frequently, which constitutes its own environmental problem. Every replacement garment comes with its own environmental cost in energy and water used and waste and greenhouse gases generated. So sacrificing garment life is not an option. Patagonia’s temporary solution, which is also being adopted by a number of manufacturers, is not good enough, but it’s the best option we have found so far. We have switched from a C8 fluorocarbon-based treatment to a shorter-chain C6 treatment, also fluorocarbon-based, but with by-products that break down faster in the environment and with less potential toxicity over time to humans, wildlife and fish. We have adopted the C6 DWR for all applications and have completed the transition out of C8. Meanwhile, we continue to actively research and develop DWR chemistries that will afford high performance with less environmental impact. We have so far tested dozens of fluorocarbon-free finishes for our garments, and we know we’re getting close. We will share news about these initiatives as it becomes available. However, we don’t feel comfortable promising a path forward that hasn’t yet been identified—that simply isn’t fair given the complexity of this challenge. 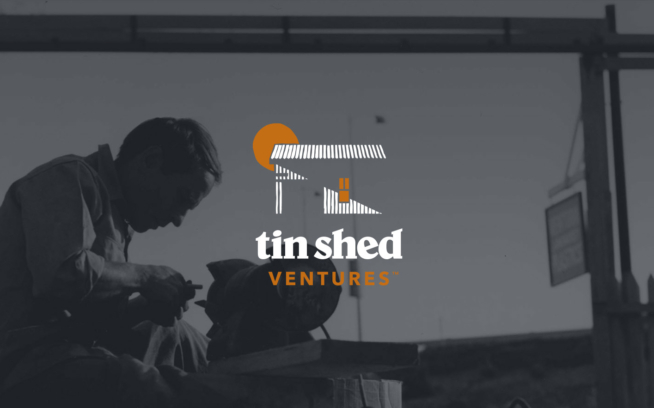 To support this effort, we’ve recently made a strategic investment through our venture fund, $20 Million & Change [Update: the venture fund is now called Tin Shed Ventures. ], in a Swiss company called Beyond Surface Technologies who are working to develop better chemistry for outdoor apparel that helps the planet. The mission of Beyond Surface Technologies aligns well with ours. They left careers at big chemical companies and now they’re doing business on the premise that we can make textile treatments based on natural raw materials without sacrificing performance or reducing the lifespan of our products. We see great promise in this new partner’s potential to invent ways to make our garments waterproof using safe, fluorocarbon-free chemicals without compromising performance and durability. You can read more about our investment here and on their website. In addition to investing in possible solutions outside our realm, we’ve actively been seeking fluorocarbon-free alternatives from within the established industry and we have found that suppliers are making progress towards meeting our strict quality and performance standards. Overall, we’ve set the most stringent requirements in the industry to make sure our materials do not pose a safety risk to our customers as a result of chemicals they contain. We’re working with others in our industry to share our efforts and learn from those of others, so we can all make improvements as quickly as possible, while enhancing, rather than compromising, either performance or quality. However, the story doesn’t end with a company adopting a PFC-free DWR that meets its performance criteria. Eliminating fluorinated DWR isn’t as simple as swapping chemistry. In addition to concerns over durability that, as we explained earlier, can affect the lifetime environmental footprint of a product, these alternative chemistries can have other potentially harmful impacts as a result of their manufacture. Patagonia is committed to looking beyond the toxicity of DWR chemicals and going deep into the supply chain of chemical manufacturing to understand the consequences of adopting alternatives. We ask questions about the environmental impacts of raw materials that apply to some of these alternatives such as plant oils—including palm oil—and GMO ingredients. What is the ultimate impact of any alternative on deforestation, on runoff pollution, on loss of biodiversity? This is our mission, and we are committed to it regardless of the time and resources it takes to get the answers. Patagonia has long been at the forefront of managing the environmental impacts of our products. In the early ‘90s, we identified our material supply chains as the most significant contributors to Patagonia’s environmental footprint. We commissioned an environmental study that concluded what is now common knowledge in our industry today—that large amounts of water, energy and chemicals are needed to make the materials we use in the products we sell. We switched to or developed alternative materials with a lighter footprint—recycled instead of virgin polyester, organic instead of conventional cotton—and committed to the process of looking for cleaner approaches to business as usual. In the 2000s, we went deeper into the chemicals that go into the fabrics and trims used in our clothes. We began working with bluesign® technologies to assist us with managing chemicals, dyes and finishes to ensure that our products are safe for the environment, the factory workers and our customers. In 2007, Patagonia became the first brand to officially join the network of bluesign® System Partners, which now comprises more than 400 manufacturers, brands and chemical suppliers. We’re proud that many of these companies are part of our current supply chain. They share our commitment to continuous improvement of environmental performance by conserving resources and minimizing chemical impacts. By 2015, we had expected that all Patagonia materials would be bluesign® approved. This was an announced goal that we have not been able to achieve. As of now, only 56 percent of our annual material volume is bluesign® approved. In analyzing the state of our progress, we recognized that our initial effort only addressed part of the problem. We needed to pursue a more holistic approach that encompasses our all of our efforts to conserve resources as well as restrict the use of chemicals in all areas of our supply chain. To that end, we have instituted a Chemical and Environmental Impacts Program (CEIP) that helps us set and meet tough new goals for improvement in our suppliers’ environmental management systems and chemicals management; reductions in water and energy use, greenhouse gases and other air emissions, and waste; as well as compliance with the strictest international consumer products and environmental legislation. The bluesign System remains an important component of CEIP, joined by new tools that include the Sustainable Apparel Coalition’s Higg Index and the Outdoor Industry Association’s Chemicals Management Module. We’re confident that this new coordinated, multifaceted approach will also help us manage all chemicals, including DWRs—and most importantly, help us transition to effective preferred alternatives more quickly.